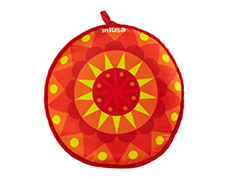 Imusa cloth tortilla warmer, serves as a festive and decorative presentation piece for your next fiesta. Tortilla warmers are essential in any Mexican kitchen, used to keep tortillas hot and fresh for up to 1 hour. Tortillas have been used for many centuries, particularly in Mexico and more recently in the United States. The tortilla is consumed all year round, and are most commonly prepared with meat to make dishes such as tacos, burritos, and enchilada. 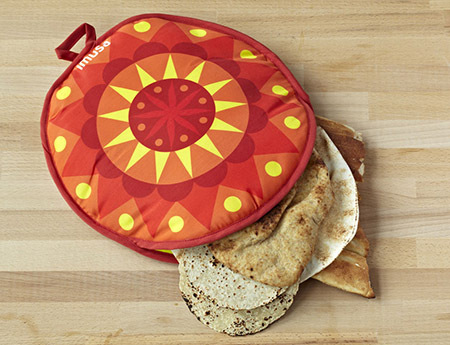 The cloth warmer can also be used on pita bread, naan, and any other flat bread variation. 100% machine washable and microwave safe.